This hawk is a good news story in that it was down-listed from special concern in June 2008.  Information on the species remains on our website due to its influence on policies of the forestry industry. Large buteo 40 to 61 cm in length with a 1 m wingspan. When soaring with their broad wings a crescent shaped “window” in wings is visible. Upper parts are mainly brown and the shoulders are reddish. Breast and belly are barred white and reddish-brown. Tail is blackish with narrow white bars on adults. Females are larger than the males but have similar colouring. Immature birds are more uniformly brown with streaked under parts and develop adult plumage after 18 months. Often confused with stockier and larger red-tailed hawk, although that species, as the name implies, has a solid reddish tail. 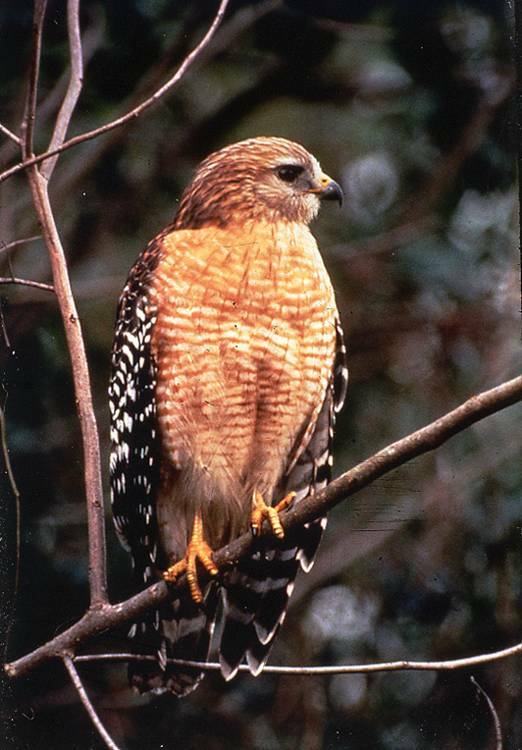 Broad-winged hawk is also similar but smaller, with much broader white bars across its tail. Migrate mid October to southern or eastern United States. Approximately 50% of their prey are reptiles and amphibians and the remainder consists of small mammals. Breeds in southern Ontario and performs noisy courtship flights when they arrive in early spring. Return to same nesting site each year so it is important to recognise and protect nesting trees. Make a bulky stick nest ½ way up large mature trees. Trees tend to be straight with few lower branches and in this area they favour beech and yellow birch. Monogamous and will lay 2-4 eggs in late April. Clearing of forests was the main cause of their decline. Like the Bald Eagle, populations have stabilized and are increasing in some areas. This is reflected in its status change but it is still protected under the Migratory Bird Act, Fish and Wildlife Conservation Act and by guidelines set within Forest Management Plans. 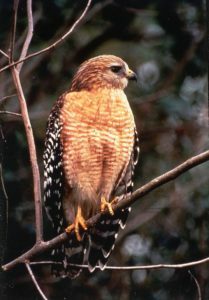 Consider participating in the Red Shouldered Hawk and Spring Woodpecker Survey.